The Washington Prospectors Mining Association(WPMA) is the largest non-profit small scale mining association in the State of Washington. Our Facebook Page is an extension of this website for our members where one can quickly connect with other members. Post where you are going and when maybe others seeing it will want to go with you. Have fun and meet new people. 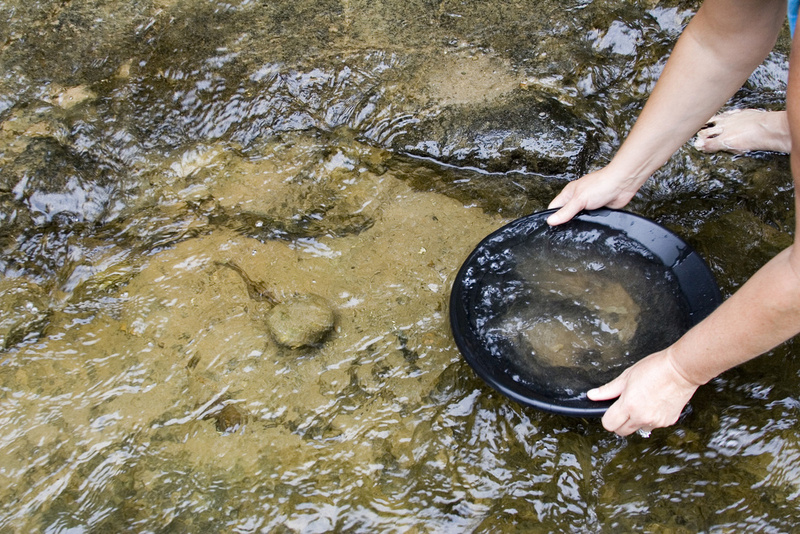 Small Scale Mineral Prospecting and Mining below the Ordinary High Water Line(OHWL) is regulated by Washington's Department of Fish and Wildlife. Those regulations are published in the Gold and Fish(G&F) Pamphlet, which is available free of charge by calling (360)902-2534 or by download. Although the use of Pans, sluices, and other non-motorized equipment does not require a HPA, there are regulations and YOU are responsible for knowing them. Beach Prospecting is also available in specific locations on the Pacific Coast. The G&F Pamphlet gives the rules and regulations that need to be followed. See Page 16 in the Pamphlet. This is available year round. Please carry your G&F Pamphlet when doing any mining is required to be available. We are discovering that People are violating the rules for Collecting Concentrate from the Beaches. Most of the violators are selling sand from Washington State on Ebay. Please contact local rangers office if you see someone taking more than two 5 gal buckets of sand from the beach. Or not filling in the holes they are digging. We do not want to lose our rights to prospect on the beaches of Washington. It appears people from Oregon have been taking Buckets of Sand off the beach and selling them on Ebay. If you beach Prospecting Please keep your eyes open it is unfair that people from other states may get this Type of Prospecting removed from the Mining Community. The G&F Pamphlet serves as an Hydraulic Project Approval(HPA) Permit when using motorized equipment under specific conditions. For those individuals who determine that they are unable to prospect or mine under the G&F Pamphelet due to the regulations that affect location, timing or equipment, they may request an "Individual HPA". 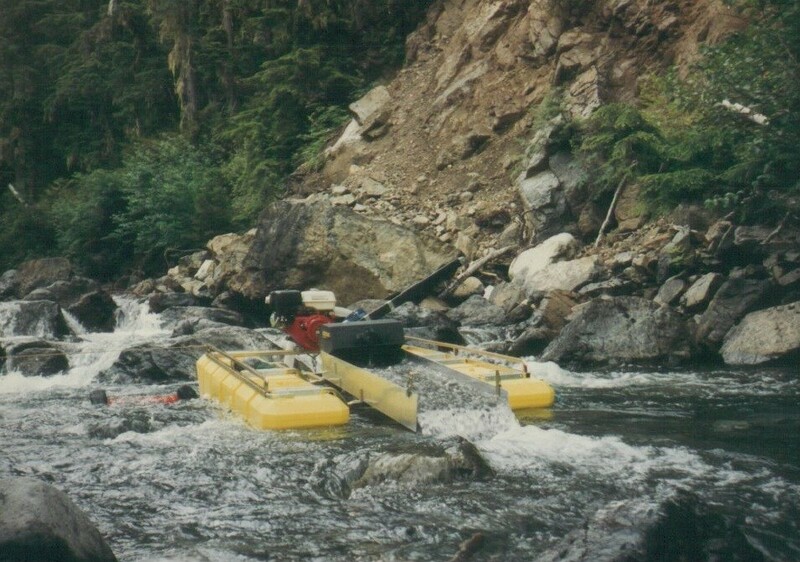 Applications for individual mineral prospecting and mining HPA's can be completed on-line via WDFW's Aquatic Protection Permitting System (APPS) or by filling out and submitting the Simplified application for all other Locations, Timings and equipment modifications. Information regarding the HPA program and other issues that effect the small scale mineral prospecting and mining community is best found on the Resources Coalition Website. Rule Making that will affect Gold Mining in the state. IF you can get to these meetings or get involved please do. Two Bills that should be supported. Please contact your House and Senate Representatives about them. Overall These look like good bills to support that will make Washington State a better state. And hold people accountable for thier actions. Rep Walsh as already submitted two house bills that went to committee. Both these bills are good first steps on holding people accountable for their actions. HB 1030 Concerning Disciplinary action for state officials and employees who provide False Testimony to the Legislature. This is good because sometimes these testimonies are not accurate or only tell part of the story. I strongly support this bill. This bill is going not going to make it out of Committee. Maybe next year it can make a comeback. HB 1052 Concerning agency rule-making authority. Do we want unelected government agencies to make laws that affect us all without any Controls or limits placed on them? Or should our elected Officials be the ones making new laws and rule making? Please contact your house Representatives supporting these two bill. Find Legislative District Place in your address and the listing of your House and Senate members are listed for you. Click on the name and you will get a new page that gives you their contact information and what committees they are on. Remember to always treat them with respect and give examples or express your strong support for these bills and any other bills you feel strongly about. Let your voice be heard. There is always a need for Volunteers at every event. The Annual Gold show we put on is one place were we need a lot of help. Setting up or tearing down. Or helping while the show is going on. You may be surprised at how much fun you can have even if all you do is a few hours. Volunteering allows you to meet and make new friends at any of the events that we are involved with. Get to know people and maybe find someone to help teach you how to mine. Or maybe learn about a claim you have not been to. It is good to share ideas and have some fun at the same time. The more people helping with an event the better chance everyone can have to see what is there and have a few minutes off to have some fun. Come on out meet new people and maybe get a few more people to join. And it is always fund to teach kids how to pan for golds or adults who want to learn. Contact Secretary if interested. We are always looking for new help. The WPMA attends numerous events and trade shows to promote the Association and Small Scale Mineral Prospecting and Mining. We will be at the following locations to provide you with information about our Association and Small Scale Mineral Prospecting and Mining. 23 - 25 Aug, Miners Rally, Liberty WA.